This week's pick is the Chloé Gold Bow Clutch. 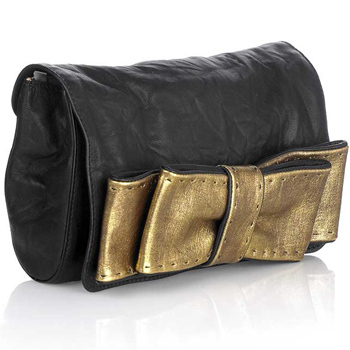 Crinkled leather gets softened up by girly detail– a smooth gold bow. A dainty, detachable leather strap gives you options – shift it to your shoulder to give that guy your number, or tuck the strap in for a tiny tote.